Mac Kelsey, the protagonist in Andy Kutler’s novel, The Other Side of Life, is a hero at Pearl Harbor. He is also a hero in the Civil War. Do I have your attention now? This novel not only entertains, but it inspires. It gives hope for those of us who wonder what else is there besides this life. There is a strong spiritual aspect to The Other Side of Life that encourages as it answers those questions we all have about the other side of life. Possibilities are presented in a gentle, captivating way. It will lift your spirits as Kutler proposes comforting possibilities in this world, and another. It is hard to buttonhole the genre for The Other Side of Life. Is it historical fiction? Yes, it is meticulously researched, lending authenticity making one wonder if Kutler himself was actually at Pearl Harbor, or any of the Civil War battles. It’s that good. Is The Other Side of Life a science fiction novel? Well, how can Mac Kelsey be in two completely different eras seventy-five years apart – as an adult? Is The Other Side of Life a paranormal novel? Maybe. Things happen. Without giving away the plot, let me say why this novel works. First, the settings are utterly believable as Kutler appeals to the sounds, smells, tastes, touches, and sights of the places where the characters exist. A good story makes the reader care about what happens to the people in the story. And believe me, I couldn’t wait to see what happened next to not only Mac, but secondary characters as their hopes and dreams were besieged by events they could not always control. No one gets through the story unscathed, but it is how Kutler weaves the various stories into a coherent whole that is so impressive. This novel does not disappoint. It is a tour de force of storytelling, and you would be wise to buy the book as soon as possible. Is there a message in your novel that you want readers to grasp? If you grabbed ten random individuals from across the globe, representing different countries, cultures and religions, and asked them about the notion of an “afterlife,” you’d likely get ten different answers. The place that Kelsey visits, I provided some description, but I also left plenty of unanswered questions because I wanted to leave much of that to the imagination and interpretation of each reader. And that, I think, is the beauty of this story. When and why did you begin writing? I used to do quite a bit of ghostwriting for the elected officials I once worked for…speeches, opinion columns, things of that nature. Never under my own name. At some point, I realized I wanted to write more creatively, and express some views of my own. I was also heavily influenced by my father, a brilliant writer and wordsmith, who showed me how powerful written words could be. When did you first consider yourself a writer? It was an article I wrote for the Huffington Post back in 2011, shortly after the death of my oldest brother, who suffered from bipolar mania. The response I received from that article – friends, colleagues, complete strangers – was staggering. The responses were so personal and so emotional. People I knew and didn’t know were opening up about their own personal experiences with mental illness, talking about friends, family members, even themselves. That was the “aha” moment, when I first truly understood how writing can really reach people and mean something to them. What inspired you to write your first book? I had been toying with a historical fiction novel for some time – American history is a passion and in my blood. But when I lost my brother, I found myself struggling with a lot of personal faith issues, and asking myself a lot of “Is there a God?”-like questions. And an idea was born…where I decided to use real historical events to frame a fictional story about friendship, loyalty and faith. Do you have a specific writing style? I would call it colloquial. When I write dialogue, I want it to sound real and authentic. I loved “West Wing” and thought the writing was brilliant and witty. But sorry, no one really talks like that. I want my characters, settings and story to be believable and genuine; I think that is what makes readers relate and really immerse themselves in a story. How did you come up with the title? It was about the 63rd idea. I needed a file on my desktop to keep track of the carousel of working titles I came up with during the writing process. I was way overthinking it. “The other side of life” comes into play during a pivotal moment in the story. The second I typed those words and they appeared on my screen, I knew I had a title. I never opened that other file again. 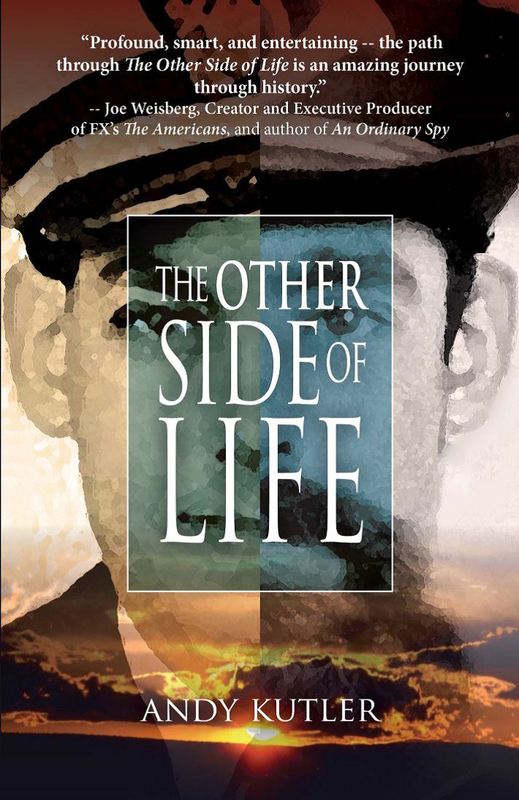 The Other Side of Life is available on Amazon.com. Inspiring and intriguing. Thanks to Becca and John for leading us to this fascinating work. This is very good article and very informative. My pleasure to being here on your blog..I wanna come back here for new post from your site.